The RC series of automatic labelling machines has been developed for use in many industries. 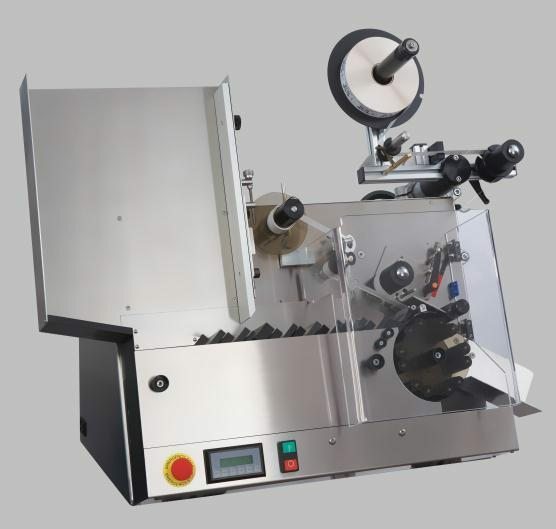 This versatile machine is designed to apply self adhesive labels to small diameter round products that will not stand upright on conventional conveyor systems. Typical products that have been labelled are ampoules, vials and test tubes through to disposable syringes, pencils, batteries and collapsible tubes. Having quick change product wheels for many different product types, labelling speeds up to 70 per minute and the option of thermal transfer printing for additional label information, these versatile machines have proved to be highly successful across the world.